In the Spring of this year Trish came to live with me in Brighton for the summer. She immediately wanted to start skating and I bought her some quads. 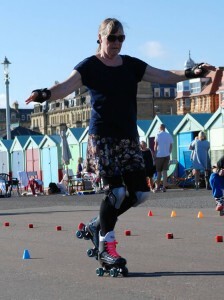 Trish skated MANY years ago when I was a teenager, but she hadn’t touched any wheels in over 25 years. Last year she had a hip replacement operation. She is a natural skater (look at those knees) and has had very few lessons from me! 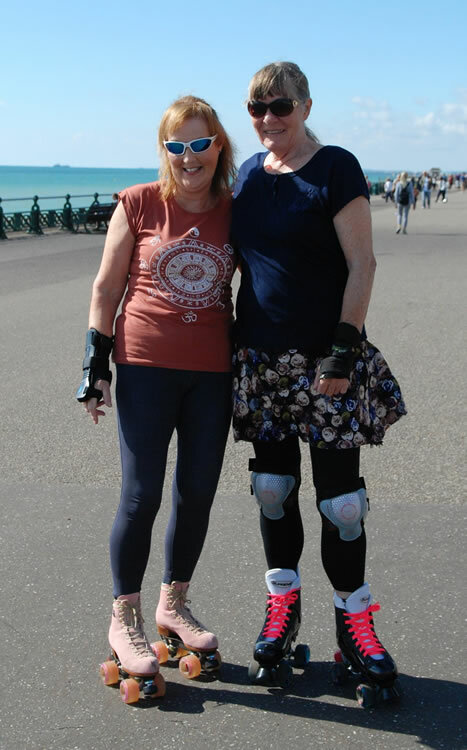 With the Brighton Facebook skate group ‘Come skate with me Brighton” she has been skating every Sunday, making new friends of all ages and falling more and more in love with skating and her life ever since. 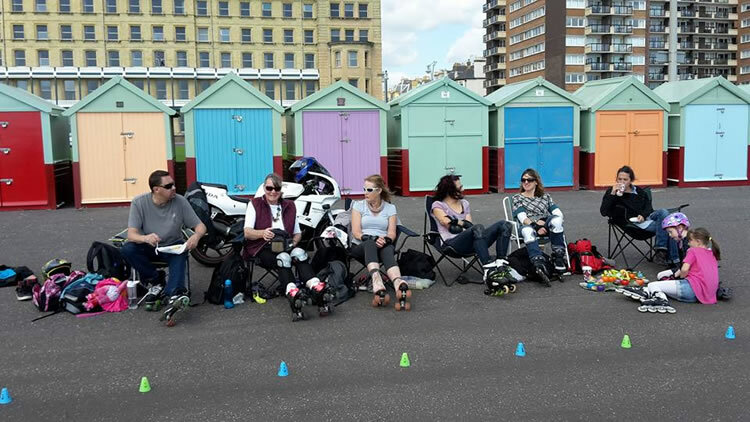 When I return to Brighton every Sunday from teaching in London I love to sit and listen to my mother tell me excitedly about her day skating, whats she did, how great it felt, what happened to so-and-so…..She literally has the pure energy of a child in that moment and nothing makes me more happy. I hope when I’m 68 and I decide to take a new direction with my life I do it with such grace and humility….and some wheels on my feet. 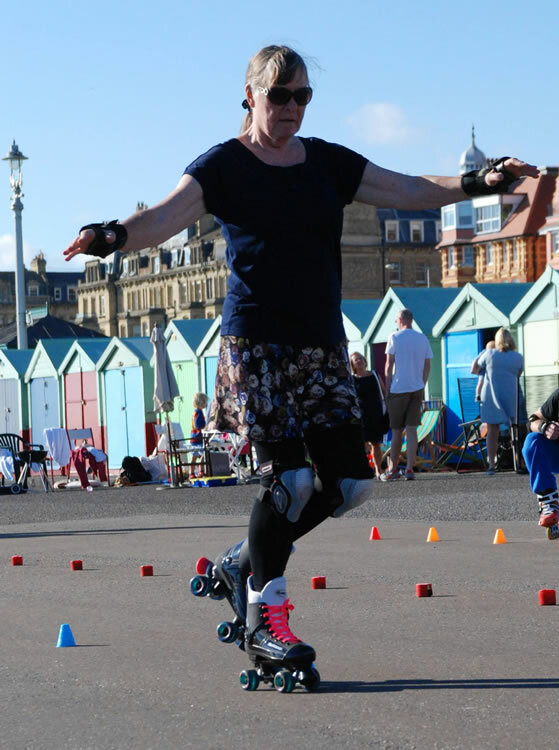 I hope my mother’s story inspires older people to consider skating. Let me know in the comments section below if you have a parent skating, I’d love to share your stories. It’s never too late to skate!